Within the cultural heritage field, proprietary metadata and vocabularies are being transformed into public Linked Data. These efforts have mostly been at the level of large-scale aggregators such as Europeana where the original data is abstracted to a common format and schema. Although this approach ensures a level of consistency and interoperability, the richness of the original data is lost in the process. In this paper, we present a transparent and interactive methodology for ingesting, converting and linking cultural heritage metadata into Linked Data. The methodology is designed to maintain the richness and detail of the original metadata. 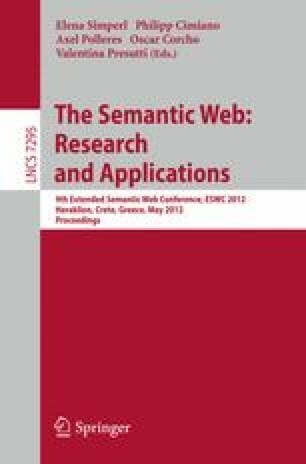 We introduce the XMLRDF conversion tool and describe how it is integrated in the ClioPatria semantic web toolkit. The methodology and the tools have been validated by converting the Amsterdam Museum metadata to a Linked Data version. In this way, the Amsterdam Museum became the first ‘small’ cultural heritage institution with a node in the Linked Data cloud.